Sartorius Stedim Biotech (SSB) is introducing integrated online biomass measurement to its ambr 15 fermentation and ambr 250 high-throughput systems for microbial applications. Already well known in the industry for fast-tracking microbial screening studies and shortening process development timelines, the ambr 15 fermentation and ambr 250 high-throughput systems operate up to 24 single-use stirred bioreactor cultures in parallel. With the integration of online biomass measurement, SSB has addressed the bottleneck associated with offline sampling. The new online biomass capability features advanced non-invasive reflectance measurement, saving time, effort and sample volume. It enables scientists to rapidly obtain detailed process understanding and control over their microbial cultures. “Fermentation scientists often have to perform time-consuming sampling to monitor growth and initiate process control based on offline data. 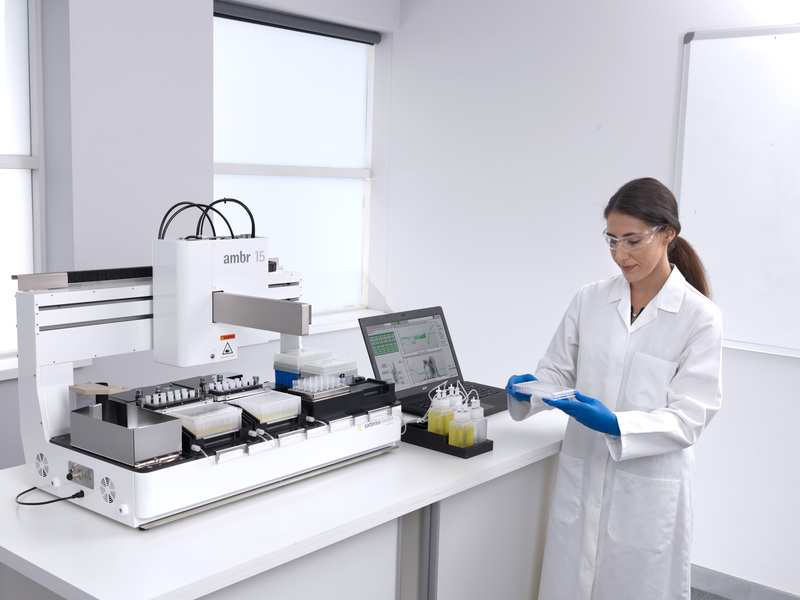 Sample preparation and manual data handling can not only introduce variability and errors, but it may also necessitate samples being taken at unsociable hours or over weekends,” explained Alison Rees-Manley at Sartorius Stedim Biotech. “By integrating innovative biomass monitoring technology into our ambr systems for microbial applications, we enable real-time growth data to be used for more advanced process control. We’re confident that these ambr systems will help scientists by reducing the burden of offline sampling and providing better process understanding and greater control of microbial cultures. This will result in more accurate and predictive data for cost-efficient protein production,” she added.